OMNI 200 is a multifunctional spray with low capillarity that requires no labelling under the CLP Regulation. It is suited for lubricating parts in motion, protecting them from corrosion and dissolving contaminations. This means it can be used in typical workshops and maintenance as well as in the building industry and agriculture. OMNI 200 is a multifunctional spray with low capillarity that requires no labelling under the CLP Regulation. With its low capillarity it penetrates light contaminations in order to dissolve them. Moreover, it creates a lubricating film that protects from corrosion and won’t resinify. OMNI 200 dissolves greases and oils and lubricates a variety of parts, from simple hinges to chains to cogwheels. It also protects the parts from corrosion, which makes it suitable for the protection and care of tools/moulds, machines, electronic circuits, and motors. OMNI 200 contains no hydrocarbon solvents, such as petroleum, and is free from acids, silicones, and Teflon. 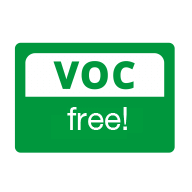 It is also free from volatile organic compounds, so it is completely VOC-free. Its multifunctionality makes it indispensable for daily use in production, maintenance, workshop, building industry, and agriculture. 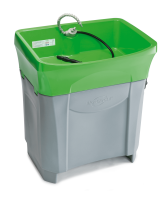 It can also be used for dewatering in immersion baths or for the pre-cleaning of contaminated parts. 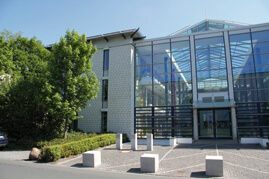 Related links to "OMNI 200"
Just spray OMNI 200 onto the part to be protected or cleaned - its capillarity penetrates the existing contamination and reaches simple part geometries, providing them with protection.